Even the world's elite Olympic athletes need a little TLC and checkup at the doctor's office once in a while, and your elite Volvo is no different. Regular, routine maintenance and service appointments can help you get the most life out of your vehicle, and Volvo Cars Memphis can help. 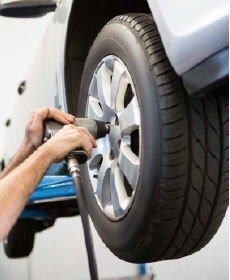 Save your tires from the Memphis pot holes, we will inspect your alignment at no charge, just stop in! For optimal performance, change your brake fluid every 3 years. For exact mileage see your owner's manual. Now through May 31, 2019, purchase a set of four eligible Pirelli or Continental tires and instantly save $100.00. Restrictions may apply. See dealer for complete details. Offer valid on select OEM and OEA replacement Pirelli or Continental tires only. Tires must be installed by Volvo dealer to qualify for offer. Excludes previous purchases. Valid on Volvo vehicles only. No cash value. Plus, with the money-saving special offers on service found on this page, drivers in Bartlett and Germantown, TN can save money and get the professional service their vehicle needs at the same time. The service center at our Trinity Road dealership is your best local choice for Volvo maintenance and service, because our technicians are Volvo experts. Every member of our staff is trained and certified to know the ins and outs of every model in the Volvo lineup, and they can diagnose and repair your vehicle faster and more efficiently than your Southaven, MS neighborhood mechanic. Our service center also exclusively uses genuine parts and accessories in all of their appointments, which means your Volvo only gets the exact part it needs every time. These parts are designed for your model, and they're always the manufacturer-recommended, perfect fit. Regardless of whether your Volvo model is in need of a routine oil change or tire rotation, or if it requires the occasional brake repair and tire replacement, the service center at Volvo Cars Memphis is your solution. Schedule your appointment with us soon and be sure to check this page of service specials and price breaks often, to see if you can save a little on the service appointments and maintenance your vehicle needs anyway.